Should I Go Dutch and Split the Check? 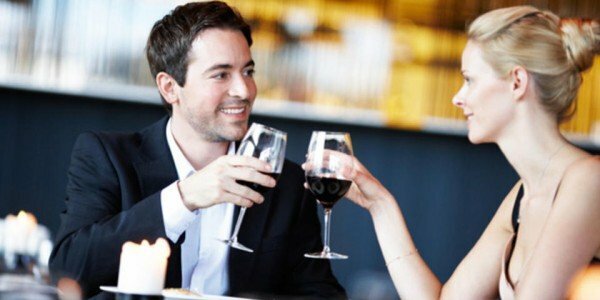 When Should a Man Pay for the Date? Because this topic isn’t completely black or white. Most women’s dating coaches who I know will insist that the man pays for the date, every time. However, most of these coaches aren’t coaching men. In fact, I’ve done surveys on this topic and the overwhelming majority of women think that a guy should pay for ALL of the dates. Back in the days when I was out dating all the time, if a woman didn’t at least offer to split the check with me, I never called her again. Well, for me, it spoke a lot about a woman as to whether or not she offered to split the check. Although, let me be completely honest here. Initially, I did it out of necessity. Because for a few years, I just wasn’t making all that much money. And so if I was dating a woman who always relied on me to pay for everything, I wouldn’t be able to go out on too many dates before I couldn’t date any longer. Once I started making a lot more money where I COULD pay for any date I went on, I started to think about what it means if a woman didn’t offer to split the check. In fact, it became part of my screening process. If a woman didn’t offer, she was out. I made exceptions for a woman who seemed exceptional on a date but I felt that way about my dates so rarely that I think it might have happened once. So what does it mean if a woman doesn’t offer to split a check? Unfortunately, it could mean so many different things that this screening method I had might not have actually been very effective. Yet to a guy like me, who had been heavily dating for years, I just wanted to get rid of anyone who I felt was trying to use me to fulfill a need of hers. This is actually a fear that a lot of men have. But remind me and we’ll talk about that another time. You see, I had met plenty of women at the time who didn’t go out on dates with me because they liked me… they went out on a date with me because they were looking to get a free meal. It seems like a really strange thing to use a guy for… yet it happened all the time. Another concern I had is that if a woman didn’t offering to split the check, it’s very possible that she wasn’t independent. I didn’t want a woman who NEEDED me… I wanted a woman who WANTED me. There’s nothing more attractive than a woman who doesn’t need a man yet wants him because she knows that the relationship they create would make her life so much better. A woman who needs a man takes from the relationship. A woman who simply wants a man is much more likely to give to that relationship because she doesn’t need it to make her feel whole, complete, happy, etc. She’s complete, whole, and happy on her own… and the relationship she gets into is simply going to make her life even more enjoyable. Let him. There’s nothing wrong with that. And some men feel like it’s their job to pay for the date. And if you run into one of these men, he may actually never call you back if you don’t let him pay. That’s why I said it isn’t so black and white. If a guy feels like it’s his job to pay for the date and you don’t let him, he’s going to find a woman who will let him pay for the date. It’s that simple. And you need to decide what that means about a man if he insists on paying for a date. It might just be that he’s old fashioned… or maybe he was taught that’s what he should do so he does it. That’s fine too. But you’ll probably want to stick to dating men who are a bit more conservative or think it’s his job to pay. And even if you don’t want to split a check, I recommend that you at least offer to split it every single time. Because, at the very least, a man likes to feel like the fact that he’s paying is valuable to you. And if he feels like you’re taking the fact that he pays for the meals for granted, he won’t feel like he wants to pay for the meals anymore. He’ll start to feel like he’s obligated to do so and may even feel a bit trapped because of it. And if you know anything about guys, they value their freedom and don’t like feeling trapped. What do you think of this blog post? Should men pay for all the dates? Let me know what you think by commenting in the box below! I feel that he pays for the first date if he asks me to go, however if I ask him out for the first date I should pay. After that I feel you should help pay. Hey Buddy!, I found this information for you: "Should I Go Dutch and Split the Check? When Should a Man Pay for the Date?". Here is the website link: https://commitmentconnection.com/should-i-go-dutch-and-split-the-check-when-should-a-man-pay-for-the-date/. Thank you.